Since 2013 I have selected a word for the year and have taken the online course called One Little Word run by Ali Edwards. In the past my words have been Grow (2013), Embrace (2014), Simplify (2015) and Awaken (2016). Having a word for the year gives me a focus, it helps me shape intentions for the year ahead, rather than having specific resolutions, and enables me to action a certain way of being for the year. 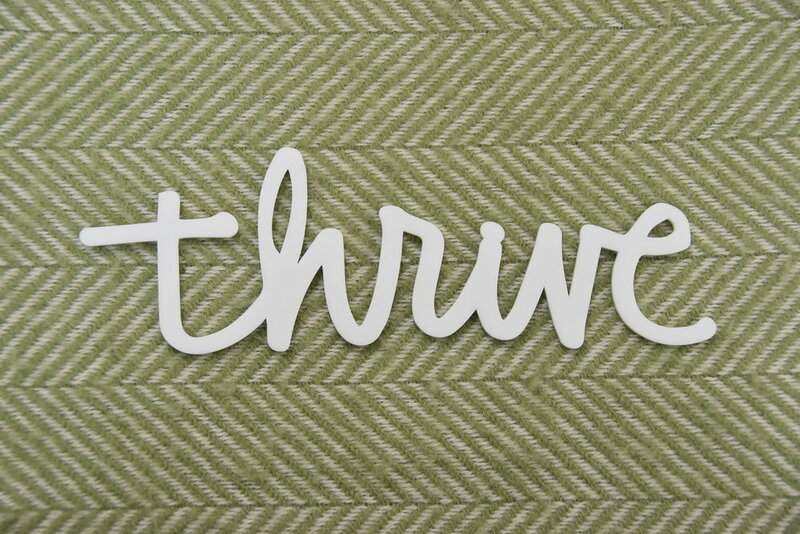 This year my word is Thrive. Thrive came to me a while ago as an option and has been sitting there in the background ever since. I felt that I wanted to Awaken before looking to Thrive. Thrive is a word that has a distinct energy and sense of movement about it, and is a real contrast to Awaken, which was my word from last year. Rather than a gentle nudge forward for the year I'm looking at making progress and being able to flourish across a few areas of my life. January for me is a month of settling into the year, taking time to plan how I want to shape the year, hibernating a little, and conserving energy. Over the next few weeks I'm going to think about why I want to Thrive, how I will Thrive, when to Thrive, what to Thrive in and who I want to Thrive with. For me these areas of focus will help me shape some intentions for the year and will enable me to keep Thrive visible across the things I want to and choose to do. Do you have a word for the year? I would love to know if you do!